Eric has the unique ability to connect with athletes of all ages and abilities. Over a decade ago, I was a self-coached marathon runner reading books and articles who after training for years gradually improved my racing times. Then, after starting my own business, I stopped running. I gradually gained weight and became out-of-shape. A year and a half ago, I decided that I wanted to be healthier. I considered signing up for another marathon, but I had no motivation to train as I had finished marathons before. Then I thought about completing an Ironman. Could I do it? 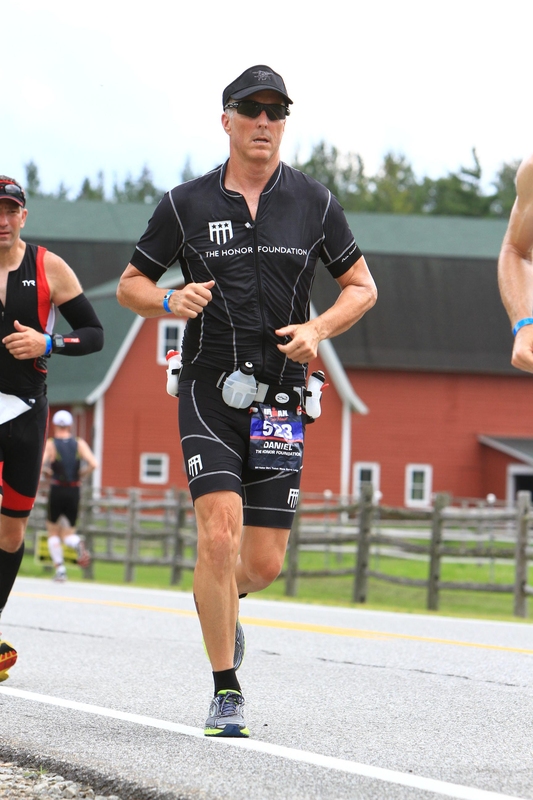 An Ironman would be challenging both physically and mentally. But this time, instead of spending years reading books and articles as a self-coached athlete, I decided to hire a coach to speed up the improvement. I learned about Train Smart, Race Fast and spoke with Eric (free-consultation). He asked me questions about my goals, recent racing experiences, and expectations and then listening to my answers. I liked that he was willing to spend his time listening to my objectives—not trying to force his objectives on me. After signing up for his coaching services, Eric designed a personalized training program starting with some assessments of my biking power, run speed, and overall endurance. This was an eye opener to me to come to terms with where I actually was physically. Based on the results, we were able to set some realistic expectations for my upcoming season based on my ability and time to train. He understood that I didn’t have unlimited time to train for my hobby. I am confident that if I were self-coached, I would eventually finish an Ironman race in 11 hours. But I am just as confidant that it would have taken me many years and not been accomplished in just 9 ½ months. Thank you, Eric. I look forward to continue working together and see how much my times and fitness improves! As someone who travels extensively for work I need a training program that is adaptable and doesn't leave me confused about how to make a workout fit into my varied schedule. With Eric I get a personalized training schedule specific to my abilities, desires and scheduling needs. In addition, Eric excels in something that few other coaches can -- the mental aspect of training for racing and triathlons. Eric's coaching and availability have worked wonders in this area. The workouts are challenging without being impossible and have allowed me to progress from being a middle aged coach potato four years ago to finishing the Ironman World Championship this year. In less than four years with Eric I've gone from slug to completing 3 marathons, 8 half Marathons, numerous 10K and 5k races and 3 triathlons. If you're willing to do the work you'll find his help, feedback and support may take you places you had no clue you could go -- including the finish line at Ironman. Aloha.